Which fairy is your favourite? 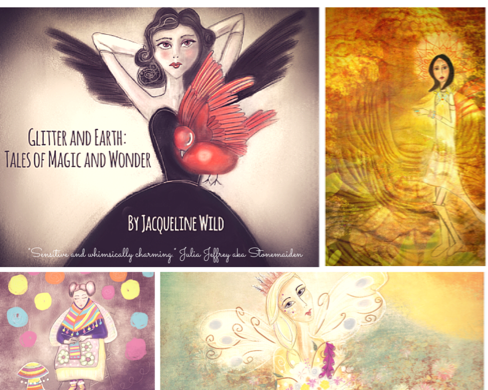 ​Glitter and Earth: Tales of Magic and Wonder is a contemporary, quirky and original fairy book. The 20 illustrations are accompanied by short stories/poems that open the door to a world of wonder. Have you ever wondered why the sock fairy steals your socks? Or who the tooth fairy really is? This is your chance to meet some elusive fairies and learn a little about them. You can purchase the paperback from Amazon.